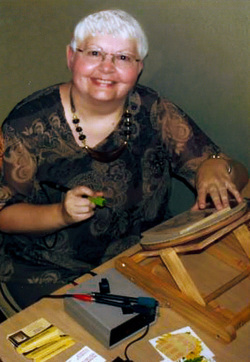 Here I will guide you through the steps I take in creating my pyrography art. The following pages are designed to help those who are learning by teaching various techniques and offering helpful tips. I enjoy doing these and will offer more when I have time. Feel free to contact me regarding any questions you may have about the tutorials, or anything else you would like answers to. I am more than willing to help anyone who wants to learn the art of pyrography. "Keep burning and learning ©"